Today we are excited to be releasing our #TacoHat Thursday build – Windows 10 Insider Preview Build 16215 for PC – to Windows Insiders in the Fast ring! We are also releasing Windows 10 Mobile Insider Preview Build 15222 to Insiders in the Fast ring. Our goal is to do a Windows Insider webcast on our Mixer channel every month. This month’s webcast will take place next Wednesday June 14th from 10:30am – 12:00pm (5:30pm- 7:00pm UTC). Be sure to tune in! This build introduces new UI for Start and Action Center that includes elements of our new Fluent Design System which was announced at Build 2017. Acrylic: If you have transparency enabled for Start, you’ll notice it’s now been updated to use the new acrylic design. Vertical resize: No more glitches at the bottom of the frame. Horizontal resize: The frame now starts resizing horizontally immediately (like vertical resize), as opposed to only “snapping” to certain widths. Diagonal resize: The frame can be resized diagonally! Resize grips: It’s now easier to “grip” the edge of the frame to start resizing. Tablet mode transition: Smoother transition into tablet mode. A new look for Action Center: Action Center has been redesigned based on your feedback to provide much clearer information separation and hierarchy. And the new design for Action Center also includes elements of our Fluent Design System such as acrylic! (and in case you were wondering, we’ve also added acrylic to our notification toasts!). As a reminder, you can customize the visible quick actions by going to Settings > System > Notifications & actions. Note: we’re investigating a bug where notifications in the Action Center lose their outline if acrylic falls back to having no transparency. This will be fixed in a later flight. Pin your favorite websites to your taskbar: Pinned sites are back! We heard your feedback, and are in this build you can now pin a website to the taskbar from Microsoft Edge! We’ll use the site’s icon to give you quick access to your favorite sites right from the taskbar. Simply select “Pin this page to the taskbar” from the settings menu in Microsoft Edge. Full screen mode (F11) in Microsoft Edge: This build introduces a new Full Screen experience in Microsoft Edge. Simply press F11 or choose the new Full Screen icon in the Settings menu to take your websites full-screen. You can exit Full Screen view by pressing F11 again, or by clicking the Restore icon in the top-right corner. Annotate Books in Microsoft Edge: We’ve added the ability to annotate EPUB Books by highlighting in four colors, underlining, and adding comments. To get started, select some text, and choose an option from the menu. To add notes as you read, select text, tap or click the Add a note button and add your note. To edit or delete your note, click the Edit your note button. Microsoft Edge PDF improvements: We’ve added more highlight colors and the option to Ask Cortana in PDFs in Microsoft Edge. Microsoft Edge’s splash page (seen when newly launched) so that the color transitions more smoothly to the Start and New Tab pages. We’ve added an option to “Add tabs to favorites” from the right-click context menu on tabs. Using it will create a Favorites folder with all the sites open in tabs in the current window. New tabs will now animate more smoothly onto the tab bar when opened and closed. We’ve improved session restore behavior so that when a multi-window Microsoft Edge session is restored by clicking on a link (for example, from an email), the window in focus at the end of restoration is the one containing the new link. Taking Cortana reminders to the next level through vision intelligence: Most of us have experienced taking a picture of upcoming event poster or bookmarking an event site for future reference, only to forget about it later. With this build, we’re rolling out two new features starting with the en-us market to help you never again miss an event you’re interested in! Cortana camera roll insights: With your permission, Cortana will now prompt you to create a reminder when she notices event posters in your camera roll! To try it out, make sure you’re signed into Cortana with your MSA or work account, and then give Cortana permission to access your camera roll via Settings > Cortana > Permissions & history > “Manage the information Cortana can access from this device”. The next time you take a picture of a flier for an upcoming event, Cortana will reach out asking if you want to create a reminder for that time. Note: Cortana will only provide insights when your device is plugged into a power source and on an un-metered network. Cortana Lasso: Are you a pen user? If so, Cortana can now help keep track of future events on your screen! Use the new lasso tool to circle the relevant information and Cortana will recognize the time, and offer suggested follow-ups through a context menu. Keeping track of upcoming events has never been easier! To try it out, go to Settings > Device > Pen & Windows Ink > Press and hold, and select Cortana Lasso in the dropdown picker. Find a website with upcoming event info, or an event poster someone shared in social media – once you have the event on your screen, just press and hold the pen back button, circle the time information, and watch Cortana do her magic. That easy! Note: For this to work, your pen will need to support Press and Hold – for example the pen that came with the Surface Pro 4, Surface Book, or Surface Studio. Using your feedback to evolve the handwriting experience: We’ve been hard at work incorporating your feedback, and with today’s build we’re introducing a new XAML-based handwriting panel – with more gestures, easier editing, emoji, and more! Write as much as you want in the panel with the new conversion & overflow model! As you write, you’ll now see your previous words convert to typed text within the handwriting panel. When you fill the handwriting panel and lift your pen off the screen, the text will shift so you have room to continue writing. Press the commit button to insert all the text and clear the slate. Select text to edit it: See something you want to change? If you select text while the handwriting panel is open, that text will now appear within the panel so you can easily make alterations. Make corrections within the handwriting panel by overwriting converted text: Was something misrecognized? Instead of using the suggested text alternate, you now have the option of just inking the correct letters right on top of the converted text! Make corrections using ink gestures: Once your written words have been converted to type, or if you’ve selected existing text, you can now easily make simple edits from within the handwriting panel using our four new gestures: strikethrough, scratch, join, and split. Try it out! Easier access to emoji and symbols: We’ve added two new buttons to the handwriting panel, so you can easily input emoji or symbols without needing to switch to the touch keyboard Simply tap the button, pick the character you want, and you’re set to go! Reducing the chance of palm rejection: We’ve added a new setting in Pen & Windows Ink Settings so finger inking needs to be explicitly enabled – this will help avoid inadvertent ink being drawn on the handwriting panel as you’re writing with your pen. Floating by default: While you still have the option to choose, we’ve made the decision for the handwriting panel to now by default appear next to where you’re writing. To change modes, tap the new keyboard settings menu button in the top left corner of the keyboard. Improved handwriting recognition for English (United States): We’ve made some changes to our US English handwriting recognition engine to improve its accuracy. Would love for Insiders to try it out and share feedback on how it feels now. English mode for Simplified Chinese handwriting: To further improve the recognition accuracy of mixed input (when Chinese and English characters are inked together), we’ve added an English mode button when handwriting in Simplified Chinese. Just press the button, ink the desired English words, and the inking done in English mode will be recognized using the English (United States) handwriting recognition engine. After your inking in English is finished, you can press the English mode button again to go back to default mode. We rely on your feedback to let us know how this new experience is doing, and will be using your feedback to determine readiness. Please try writing some things and log feedback about the experience here. If your PC has pen support, then the handwriting engine for each language should download automatically when you add it to your language list. If it doesn’t, you can go to Optional Features and choose to download it. We’re currently investigating your reports that there’s been some lag when inputting ink in recent builds. Find My Pen: Don’t know where you put your pen? The pen doesn’t have a GPS, so we can’t help you there, but what we *can* do is tell you where you were when you last inked on your computer. Which is what we’ve done! Head over to Settings > Update & Security > “Find My Device” to see what it’s all about. Scrolling with pen. In the effort to create a more intuitive pen interaction on Windows, we are emphasizing natural and direct manipulation of content with pen. You don’t have to “hunt and peck” for scrollbars or frequently switch between pen and touch when navigating; now you can scroll content directly and fluently as you would with your finger. Want to see it working? Selection with pen. We also revised selection with pen by giving it more control over the selection process. Not only are we showing selection grippers whenever text is selected via pen, but also are allowing for a consistent and fast selection of content – text, objects, or ink—by dragging the pen while the barrel button is pressed. Note: scrolling with pen is currently only supported for UWP apps, however we’re working on adding it for Win32 as well (like File Explorer). Selection with pen isn’t yet up and running in Microsoft Edge, but it will be coming in a later flight. This will also impact selecting text with pen in epubs and PDFs in order to try the new Microsoft Edge features shown above. For now, please use another input method if you’d like to see how it works. Entering emoji on your hardware keyboard just got easier: We’ve heard your feedback, and today we’re happy to announce the new Emoji Panel! Press Win + period (.) or Win + semicolon (;) while focus is in a text box and the Emoji Panel will pop up for you to quickly scroll through and pick the emoji you want. Currently this emoji experience is only available when English (United States) is the active language of your keyboard. As a reminder, if you need to switch between the languages in your language list, you can use the Win + Space hotkey. We have a totally new touch keyboard on Desktop! If you’ve been jealous of better keyboard features on your phone, then you’ll be happy to hear with today’s build we’re bringing those familiar phone keyboard experiences to your PC with our new XAML-based touch keyboard! Shape writing with the one-handed touch keyboard: One of the most powerful phone keyboard features for fast and easy text input involves swiping over the keys without releasing your finger on the screen. We call it shape writing. Today we proudly announce the first shape writing keyboard on PC! Because it’s works just like your familiar phone-style one-handed keyboard, you don’t need to do anything to learn it again. Just use it as you would use your phone’s touch keyboard. Bonus: it also works with pen! Shape writing is currently only supported for the English US keyboard, however we’re working on enabling more languages. A new touch keyboard settings menu: Along with all our other improvements, we’ve updated the way to switch into Handwriting panel and other keyboard layouts. You can find our keyboard settings menu icon at the top left corner of the touch keyboard. It’s a one-stop settings panel for all the layouts (Default, One-handed, Handwriting, Full) and modes (Docked, Floating), as well as a shortcut for jumping to language settings. Please note the touch keyboards for Chinese, Japanese and Korean languages are not working with this build – we will fix this as soon as possible in an upcoming flight. Dictation on the Desktop: Our keen-eyed Insiders may have noticed a microphone button in the touch keyboard pictures above – that’s because you can now use dictation to input English or Chinese text on desktop! Simply tap the microphone button in the top left corner of the touch keyboard or handwriting panel, or press the new dictation hotkey Win + H to start dictating. Currently only available for English (United States) and Chinese (Simplified) input methods. Copy Link: Don’t see the app you’re looking for in the Share UI? If you’re sharing a link – like a website in Microsoft Edge, or an app from Store – we’ve added a new option in the Share UI to copy that link to your clipboard, so you easily can paste it into your app of choice. Note: If no new media is detected, you will see the file picker dialog. We fixed an issue where the icons of contacts pinned to the taskbar would appear cut off when using small taskbar icons. We’ve updated our logic so that if you have the My People flyout open, you can now drop a file onto any of the contacts pinned in the overflow area to initiate a share with them. We’re updated the sound made when you receive an emoji from one of the contacts pinned to the People bar in the taskbar. We improved My People reliability and fixed an issue where hit testing would become offset after adding or removing items from the systray. We fixed an issue where mirroring a display and then disconnecting from it would break night light on that screen. We fixed an issue where when night light had been manually enabled, and the device entered then exited S3 sleep, night could then become disabled. As a result of your feedback, we’ve updated our logic to now use a quick transition into night flight if applicable after rebooting or manually enabling night light. New Video Playback Settings: Head to Settings > Personalization > Video Playback and you’ll now find some additional controls for media enthusiasts. If you have an HDR monitor, we’d love to hear your feedback on how video streaming feels when these new options are enabled. We’ve also added some battery settings for you to decide whether you’d prefer to optimize video streaming for battery usage or video quality. Note: You’ll noticed a “Unsupported video type or invalid file path” error at the top of the page. This is a known issue we’re looking into, it shouldn’t otherwise impact the usage of these settings. A new HDR and Advanced Color Settings Page: If you have at least one connected display that supports HDR, you’ll now see some additional information! Go to Settings > System > Display > “HDR and advanced color settings” to find more details about the HDR settings of the currently selected display. Per-App Defaults Settings Page: In the past, when using Settings you had to start with your file type or protocol if you wanted to make a change to the default app. That’s changing with this build, and you can now start with your app, and then see the available options for what it can handle. To see this new option, go to Settings > Apps > Default apps > “Set defaults by App”. Choose an app and click ‘Manage’ to see all the file types and protocol associations for which the app is the default. This page takes the place of the one that had been available in Control Panel, as part of our ongoing effort to converge the settings experience. Updated Network connection properties page: We’ve heard your feedback that setting a network profile to public or private isn’t discoverable, so we’ve updated the Network connection properties page to make it easier and prominent. Instead of the previous toggle under “Make this PC discoverable”, you’ll now find two radio buttons to select whether the profile should be public or private. A new context menu for Wi-Fi networks in the View Available Networks flyout: To get you where you need to go faster, we’ve added a new context menu full of quick actions when you right-click one of the listed Wi-Fi networks. Options include Connect, Disconnect, View Properties, or Forget Network. View your active Windows Update policies: If there are any applied group policies for Windows Update, a page will now appear in Windows Update Settings so you can look through them. Understanding your updates: We now list out the individual update status and progress in Settings > Update & Security > Windows Update. So if there are multiple updates pending (for example, a new build, a driver update, and a definition update for Windows Defender), you can see and track each different status, which wasn’t as obvious with the single progress bar used in prior builds. You can now add other AAD work/school users from Settings. We’ve heard your feedback, and have adjusted the order of the Settings categories so that the new Cortana category is now more central, and the Windows Update category is now once again the final one in the list. When moving or uninstalling an app from the Apps & Features Settings page, you’ll now see a progress bar. We fixed an issue where pinned secondary tiles would appear as groups in that app’s Notification & Actions Settings. Based on your feedback, the Game bar (Win + G) now has a button to enable or disable Game Mode for the current game. Its icon will be updated soon in a future flight. The Game bar (Win + G) now allows you to take screenshots of games running in HDR. Sharing those screenshots to Xbox Live using the Xbox app will come in a future update of the app. Note: broadcasting does not support HDR. Screenshots will be taken in the resolution of the game window, which enables the 4K screenshots that are now supported. Game Clips and broadcasts will be transcoded to 1080p if the resolution is higher than that. Screenshots of games running in HDR should now correctly save a copy in PNG that is tone mapped to SDR. Bitrate changes during game broadcasting to Mixer should now be smoother and more seamless. When broadcasting to Mixer, you can now specify the language that you are speaking during the broadcast. The resources made available to games running in Game Mode have been tweaked on popular machine configs, including 6 and 8 core CPU machines, resulting in improved game performance for games running in Game Mode. If you missed our announcement introducing Mixer and all the goodness along with it, check it out here! Per app Runtime Broker: If you open Task Manager, you will notice UWPs now use per-application instanced Runtime Broker processes, rather than all sharing a single session-wide Runtime Broker. This will help improve resource attribution, resource management, and fault tolerance. Hyper-V gets virtual battery support: You can now see your machine’s battery state in your VMs! To try this feature, create a new VM using the “New-VM” cmdlet, and add the “-Prerelease” flag. This will give you a pre-release VM that will have this feature enabled. Registry Editor is now per-monitor DPI aware! That means it should no longer be blurry when used in mixed DPI environments, or when changing DPI. We fixed an issue resulting in VIM being broken for Windows Subsystem for Linux (WSL) users in result flights. We fixed an issue where the choice command was failing when run in a Command Prompt script. Up and Down Arrows to get through everything: You can simply use the up and down arrow keys to get through all of the content of your application. Press Space to Interact: To interact with simple controls (such as buttons, checkboxes, toggle buttons etc. you can press the space bar). Editbox Switching: If you navigate to an edit field using the up and down arrows, Narrator will automatically turn off Scan Mode so that you can type into the edit field. When you are ready to exit the edit field you can use the up and down arrows to exit the edit field and Narrator will turn scan mode back on. Turn off Scan Mode with Caps + Space: If you want to turn off scan mode, and want to get back to the old way of doing things, press Caps + Space. It will be turned off for that app and you will hear “Off”. Since Scan Mode is now on by default, we’ve removed the popup dialog when first launching Narrator explaining how to start scan mode. Narrator Input learning: This will allow you to learn the keys on your device. Narrator will tell you the key that you have pressed, and the Narrator command associated with it. This mode can be turned on and off with Caps + 1. To read from where you currently are through the rest of the application you can press Caps + R for Read. To jump to the beginning of an application you can now press Caps + Home and to jump to the end of an application you can press Caps + End. The read window command, Caps + W also had some improvements in this release. Caps + W will now read both the controls in the window and the text. Narrator Getting Started User Guide: There is now a button in the main Narrator UI to the Narrator User Guide located here, where you can find more information about scan mode and all of the Scan Mode commands. Introducing Color filters: Windows 10 now includes color filters at the system level, including filters designed to make it easier for people with color blindness to differentiate between colors like red and green and to make it easier for people with light sensitivity to create and consume content. You can find these new filtering options under Settings > Ease of Access > Color and High Contrast” (previously called High Contrast Settings). Magnifier UI improvements: We’ve updated the Magnifier zoom in and out buttons to have a more modern style. Note: You’ll notice a new “Enable bitmap smoothing” option in Magnifier Settings. This feature isn’t functioning yet, but we’ll let you know when it is. Please welcome UD Digital Kyokasho-tai to our Windows font family in Japan! We’ve been listening carefully to your feedback, and starting with Build 16215, we have a new inbox font when you install Windows 10 in Japanese. This font maintains the feel of handwriting – the shapes of tear drops and sweeps – by carefully controlling the weight of the strokes, while also leveraging designs that address concerns for those with low vision or dyslexia. Our research shows that the font increases readability of textbook content. Please try typing a few phrases using this font and let us know what you think! The predictive candidate window is now suppressed in search boxes: The IME predictive candidate window will be hidden when you are typing in search boxes such as Bing search or the Microsoft Edge address bar, where suggestions are already shown from the app or service. Improved reliability and several bug fixes: Please try out the experience in this build and let us know if it’s improved for you. Includes fixing an issue where the IME Pad and the Japanese IME User Dictionary Tool weren’t launching when focus was set to input fields in Microsoft Edge. Improved Bopomofo IME learning: We’ve modified the Bopomofo IME to make it learn which candidates were selected and adjust the suggested candidates based on the ones you pick more frequently. We’ve modified the behavior of input mode for the Bopomofo IME to now respect your preferred default mode in settings when switching to this IME from other traditional Chinese IMEs. When the Bopomofo IME is turned off (either intentionally or accidentally), it is now possible to toggle the IME back on by pressing shift key, or clicking on the mode icon in the language bar. We’ve addressed the issue where the Traditional Chinese ChangJie and Quick IMEs would enter into full width for alphanumeric characters, despite preferred default mode being configured to “Chinese”. We fixed an issue from recent flights where moving focus away from the Microsoft Edge window while the Bopomofo IME was the active input method would result in the window becoming unresponsive. Language Packs via Settings > Time & language > Region & language are available again starting with this build. The issue causing updating to the latest builds to get stuck at 12% should be fixed. If you still hit this, please send us feedback in Feedback Hub so the team can investigate. We fixed the issue causing you to be unable to type in your password to log in to any UWP apps such as Netflix, Twitter, Facebook, Instagram or Messenger apps. We fixed the issue causing Outlook 2016 to hang on launch due to an issue where the spam filter gets stuck reading the Outlook Data File and the UI waits indefinitely for it to return. We fixed an issue from the previous flight where Microsoft Edge would crash when enabling or disabling extensions. We’ve removed the power option to “update and shutdown” for now as it wasn’t working. You may see Recovery Drive tool show up under “Recently added” on Start after updating to this build. We have made a change that makes the tool, previously only accessible via Control Panel, to now be available in the Windows Administrative Tools folder in Start. We fixed an issue where an unexpected Wireless Display Media Viewer app with a blank icon was visible in Start after upgrading on certain devices. We’ve made some improvements to our facial recognition, along with a new toast you’ll see prompting you to further train Windows Hello if having issues signing in when a large amount of backlighting detected. We fixed an issue resulting in Windows Hello Face failing to work on the previous flight for a large number of non-English languages. We fixed an issue resulting in games such as Civilization VI, Galactic Civilizations III, and Expeditions: Viking failing to launch on recent builds. We fixed an issue where inbox UWP app icons were overscaled in Cortana search results. We’ve heard your feedback, and have adjusted the text in our prompt to initiate cross device notifications from saying “Trust this PC?” to now say “You got a message on your phone. Want to see phone messages on this PC too?”. We fixed the issue causing some people to hit Error 0x8000ffff while trying to launch an isolated Edge session in Windows Defender Application Guard. Features that are delivered on-demand from Windows Update such as Developer Mode, .NET 3.5, and Speech Packs will not be available for this build. If you are a developer and require Developer Mode – please ensure it is enabled BEFORE taking this build. On some PCs with enterprise configurations, you may not be able to open PDFs in Microsoft Edge on this build. As a workaround, you can download PDFs and open them with a third party reader or the Reader app from the Windows Store. Microsoft Edge may load web pages at the wrong scale factor (highly zoomed in) on some devices with high density displays. As a workaround. switching to another tab and back should resolve this problem. Some PDFs may open in a cropped view (zoomed in) in Microsoft Edge, and part of the content may be inaccessible to the user. Additionally, input to these PDFs may be offset to the wrong location on screen. As a workaround, you can download PDFs and open them with a third party reader or the Reader app from the Windows Store. After upgrading, inbox apps that are the same version on the downlevel OS and uplevel OS will disappear from Start. If you are impacted by this, please go to Settings > Apps > Apps & Features, select the impacted app, tap “advanced options”, click reset, and that should fix it. We’ve made a fix to address your feedback that PDFs aren’t opening in Microsoft Edge. This will resolve the issue for most Insiders, however we’re still investigating one issue specific to those with Windows Information Protection (EDP) enabled. We’re working to address this as soon as possible in an upcoming flight. New Windows Mixed Reality developers need to install build 16193 or RS2 RTM, plug in the Windows Mixed Reality headset and set up Mixed Reality, then upgrade to the latest FAST build for the best development experience. If you update to Build 16215 without setting up Mixed Reality, you will not be able to download Mixed Reality software. You will end up with multiple copies of each printer after upgrading. Only the copy with the highest number will work. 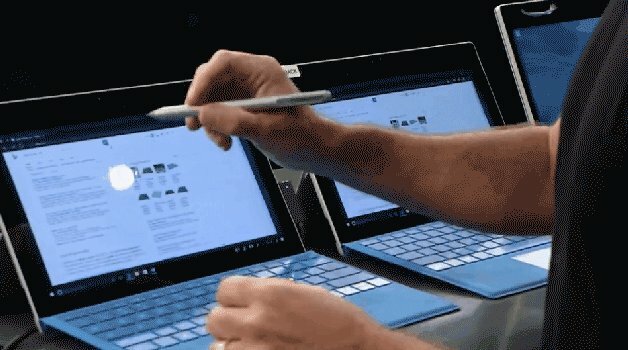 Wi-Fi will get turned off on certain devices like the Surface Pro 1 and Surface Pro 2 and some USB devices and won’t work due to a driver issue. To get Wi-Fi working again, you will have to roll-back to the previous build. If you’re using a Chinese IME and try to type in Cortana, it will hang Cortana and not work. After updating to this build, Microsoft Text Input Application might appear on your All apps list and when you try to open it, it opens as a blank window. The mini surveys we call SIUFs from Feedback Hub will not work on this build but please send us feedback as you normally would for this build! This build also includes all the improvements from KB4016871 and KB4020102. We fixed an issue where WhatsApp would not launch after updating to the latest Mobile builds. We fixed an issue with the Bulgarian keyboard localization for the HP Lap Dock in Continuum. We fixed several enterprise device management issues. We fixed an issue where notifications and Cortana’s cross-devices settings on your device were not being mirrored to your PC.